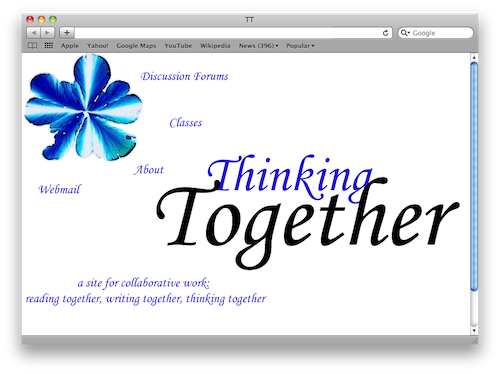 Version 2 of the ThinkingTogether homepage, in all its glory . . .